It can be extremely challenging trying to teach a child a subject that they're not fond of or that they genuinely struggle with. Many children start out reading and writing slowly, reversing letters, or mixing up sounds - it's just what happens when they're starting to learn and process things. Some things just take time, while others need more attention. If your child struggles with reading or writing, there's no shame in getting another opinion. When my son was a "late" reader, I consulted with several different people in the teaching fields - speech/reading teachers, veteran homeschool moms, etc. - to see if I was expecting too much or if we were actually having a real problem. 5. Get hands-on: Children who struggle to write generally aren't going to excel at or enjoy copywork - does that mean they should never do it? Of course not. But they can benefit even more from doing more hands-on activities, especially when they are younger. 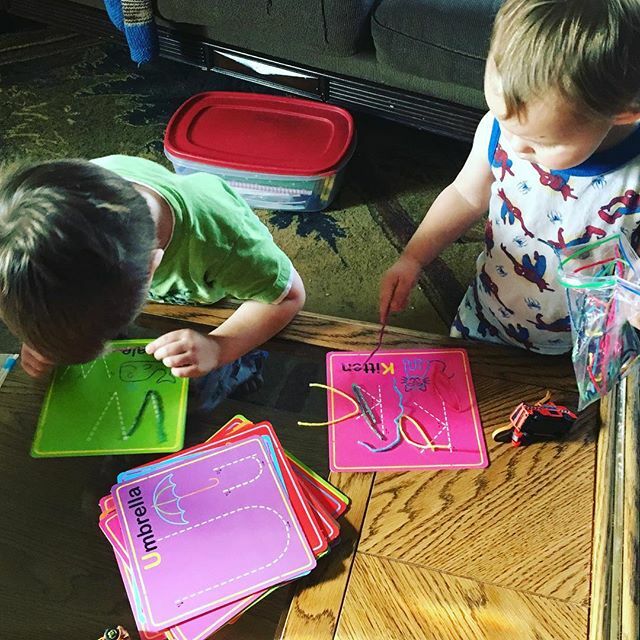 Sandpaper letters, using playdough, tracing letters in sand or salt, or using fingerpaint to write their names can be great fun while they're practicing their writing skills! 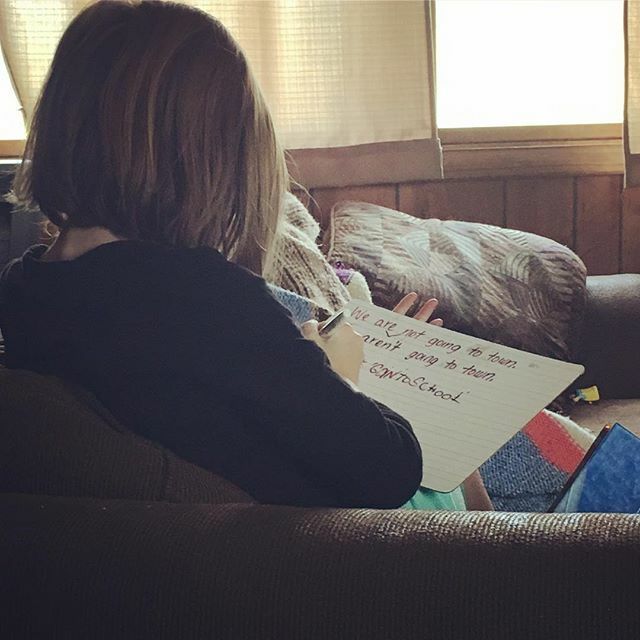 WriteShop is a wonderful writing curriculum that offers a multitude of resources including many unique hands-on project ideas for publishing your child's writing. 4. Do it together & talk it out: Give your child a bit of a break and let them communicate. Have them answer questions orally or dictate stories/essays to you. Mix it up and try taking turns creating a story with you each adding sections. Make it as silly or serious as you want! WriteShop's Junior curriculum offers many opportunities to do this. As with the Guided Writing Practice in WriteShop Primary, the WriteShop Junior curriculum offers the opportunity to Model & Teach - where you as the teacher demonstrate through a guided script how to do that particular exercise with the child observing. 3. Let them focus on what they like: It can be very tempting to pick out books and curriculum for our children only based on what WE think they need to be learning. I was guilty of this with my oldest son - I kept getting him graded readers and books that focused on learning sounds & letters. While this wasn't necessarily bad, it was boring him to tears. A veteran homeschool mom I talked to encouraged me to let him roam the library and find books that appealed to him, regardless of what I might rather do. I relented and was amazed at how much he lit up when discovering the library had a whole section of superhero and Lego-related books! 2. Add in activity: Sometimes kids just need a break from routine - especially younger children. They're not made to sit for 8 hours a day copying sentences and doing workbook pages! Don't be afraid to add some physical activities to your regularly scheduled school day - running, taking a quick trip to the park, biking, yoga, taking a walk around the neighborhood block, doing an exercise DVD...whatever physical activities your family enjoys! It'll give everyone's minds a little bit of a break and they'll be more likely to start fresh a little later. 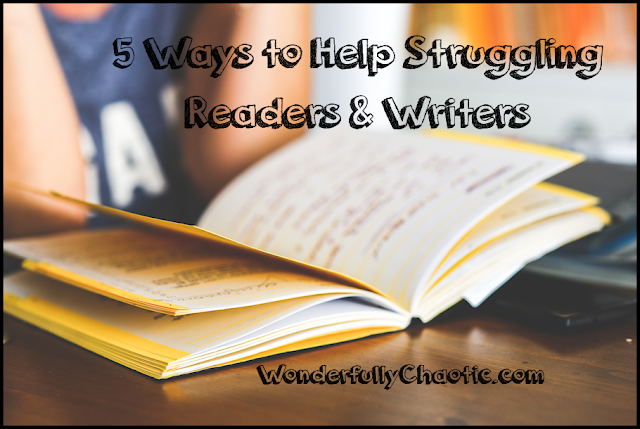 So I want to hear from you readers - what has helped your struggling readers or writers? Please share in the comments!